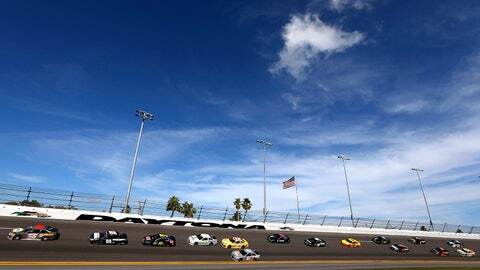 NASCAR Sprint Cup Series drivers will soon hit Daytona International Speedway for testing. Next week with the holidays behind us and the college bowl games over, it’s time for us in NASCAR to get back to the track. We’ll be in Daytona next Thursday through Saturday for testing. One of the initial goals a lot of folks will be aiming at is simply to get back into the groove of things and knock the rust off. There are so many new teams and combinations out there this year that right now you are looking for some chemistry to start building on. This is also your opportunity to see how the minor changes NASCAR made to the car affects the car. In NASCAR this is our Spring Training, to use a MLB analogy, or our OTAs — to use a NFL analogy. As you hear us say repeatedly, after his sixth championship, Jimmie Johnson and the No. 48 team continue to be the Gold Standard in our sport. You have to look at their strengths and compare those to your weaknesses. The key is to figure a way to improve on your weaknesses so they can at least measure up to their strengths. It all starts with this test next week. We also always tell you that when you go back to Daytona in February for Speedweeks, once that car rolls off the hauler, you pretty much have what you have. There’s less room for major changes at the restrictor plate tracks than anywhere else. Now if you go down there next week and have a slow car, well, you thank your lucky stars you found that out in early January. Did you build a new car for Daytona? Have the supposed improvements helped? Have you reduced the drag on the car like you had hoped? How is your engine program? If it doesn’t play out that way next week for you, at least you have time to go back to the proverbial drawing board and figure it out. Now, let’s be realistic. The motor room isn’t going to send you to Daytona next week with their best piece. That’s just not going to happen. They are still tinkering with it trying to find that elusive one-quarter to one-half more horsepower. My point is, during testing next week, the teams will factor in the anticipation of having more horsepower when we return in February. Knowing that, most folks will focus on the aero package and the rolling resistance of the car to work on picking up speed there, knowing full well the motor guys will give them a better motor come February. My point is as a race fan, you simply can’t read anything into how well your driver does or doesn’t do next week. It’s a test. The only thing a test pays is gained information. 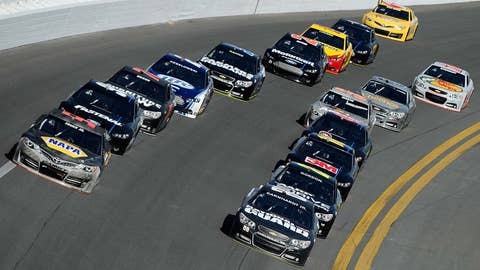 When we come back for the Daytona 500 is when it is time to show what you really have or, in some cases, don’t have.